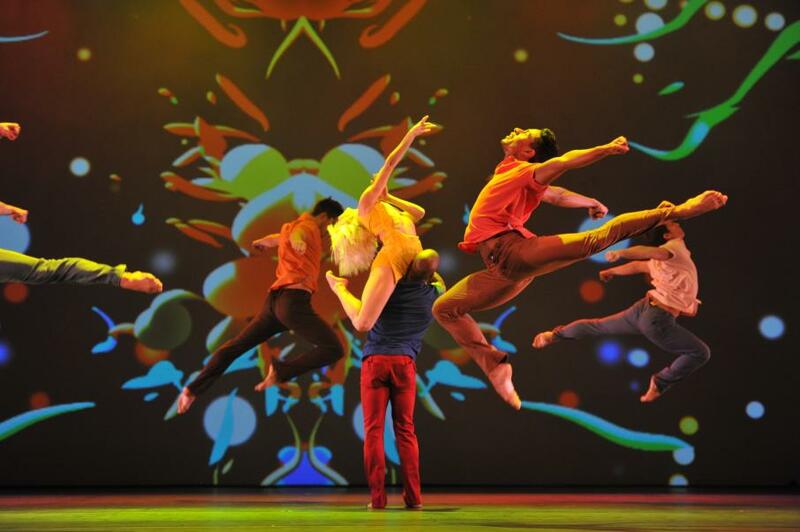 We’ll continue our work on the Annenberg Center for the Performing Arts’ diverse 2013/14 season, including dance (Les Ballets Jazz de Montreal, Jan. 16-18) and world music (Ladysmith Black Mambazo, pictured, Jan. 31). So You Think You Can Dance fans will be particularly excited to see Rasta Thomas’ raucous Bad Boys of Dance (pictured, top, Feb. 20-22). Also at the Annenberg this spring is a solo performance by internationally acclaimed classical Indian dancer Malavika Sarukkai, presented by Sruti, The India Music & Dance Society. On stage one night only, on April 12, Ganga: Nitya Vahini (The Eternal River) tells the stories of the banks of India’s holy river — of lovers embracing along the shore, a priest performing a spirited ritual, even the river’s currents pulling toward the Bay of Bengal. Farther afield, the Bryn Mawr College Performing Arts Series continues in 2014 with performance artist/musician/director John Kelly’s The Escape Artist (Jan. 24), about a stressed-out performer who has a catastrophic trapeze accident while rehearsing a theater piece based on the life of the Italian Baroque painter Caravaggio. Among our theater clients is Mauckingbird Theatre Company, whose 2014 season kicks off with the beautifully told Beautiful Thing (Jan. 15-Feb. 2), called an “endearing, lopsided smile of a comedy about a boy who falls for the boy next door” by The New York Times. In the visual art category, we’re working with The Clay Studio in Old City as the organization prepares for its 40th anniversary celebration. The upcoming exhibition “The Clay Studio: Forty Years” (April 4-May 31) chronicles the evolution of TCS as well as the evolution of clay’s use as a material for creative expression. Finally, we’re thrilled to culminate our work on the Mural Arts Program-commissioned rail corridor project by Berlin-based visual artist Katharina Grosse. Being installed this spring, the series of artworks will be best viewed on the train, traveling to and from 30th Street and North Philly stations via SEPTA regional rail or Amtrak. Get ready for your morning commute to look a whole lot different. Also coming up in 2014: We’ll be welcoming new clients Temple Contemporary and Laurel Hill Cemetery, and continuing our work with the John S. and James L. Knight Foundation, Asian Arts Initiative, FringeArts, Woodmere Art Museum, Lantern Theater Company, Theater Exile, Philadelphia Dance Projects and more.